As students of finance and potential investors, you can estimate the financial health and profitability of a company using financial ratios and other industry tools. The tools and skills practiced in this course can be used to help you determine whether or not to invest money in a company. Research into the financial health of the company can help make the decision. 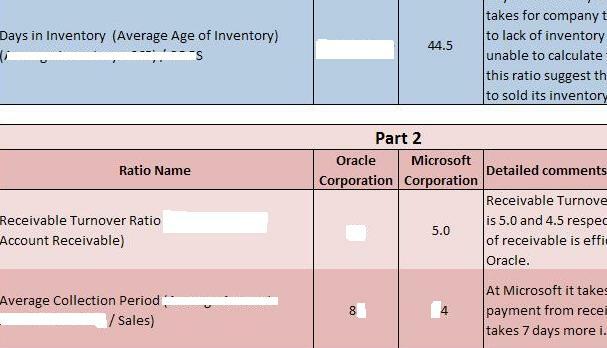 In the final project, you compute corporate performance ratios and compare them to industry averages. You also study portions of the company’s annual report to analyze the company’s operating and cash cycles, long-term debt, and cost of capital. Finally, you summarize your conclusions in an analysis from an investor perspective. Please summarize and explain the project listed in the syllabus here.